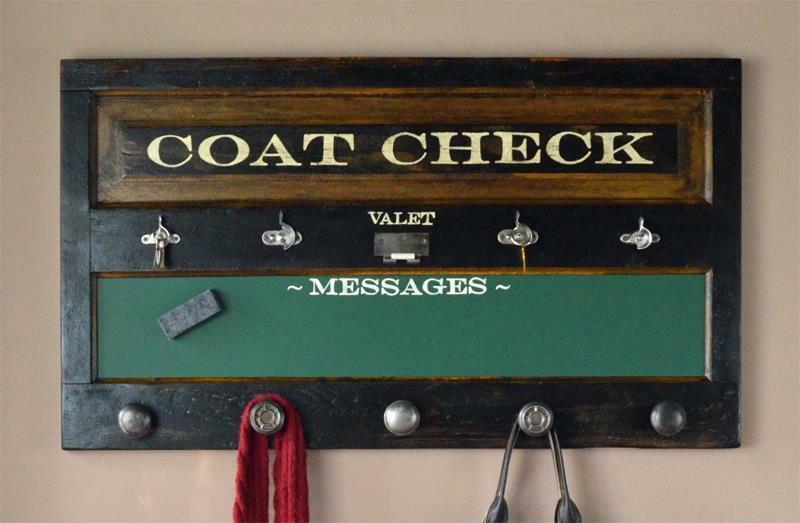 - These functional vintage coat racks are made using vintage doors and hardware. - Packed with function, these wall mounted coat racks include knobs for coats and bags, key hooks, and magnetic chalkboard. Please allow 4-8 weeks for this item to arrive. Sometimes the item is in stock and will arrive soon. Please call if you need it before the stated lead time. NOTE: One of a kind piece so item you receive may vary from photo. Quality Takes Time – Typical Build Time for This Piece is 4 to 8 weeks.